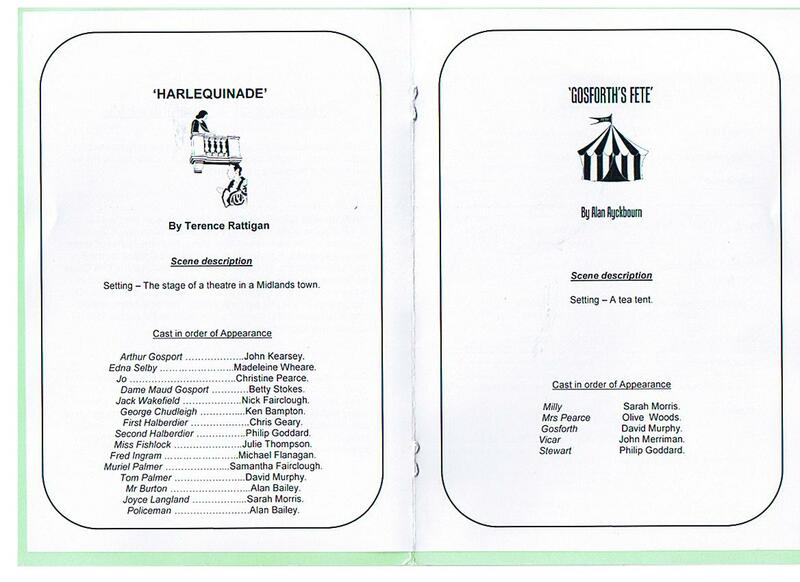 Harlequinade is Rattigan's affectionate satire on the theatre, set in 1948 in the rather bleak days of post-war austerity. A famous theatrical couple have taken their company to the Midlands. They are staging a production of Romeo and Juliet and their dress rehearsal is enlivened by certain unwelcome but hilarious happenings of a highly personal nature. The play satirises their total absorption in the theatre, which enables the couple to rise above these discoveries. 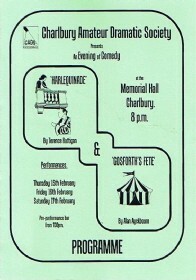 Gosforth's Fete, set in the 1970's involves the preparations for a village fete by an ardent and over meticulous enthusiast. Unfortunately his organizational skills are not adequate to cope with the many problems that occur, including one, again of a very personal nature, which comes as a rude shock. However, as with Harlequinade, he is resolutely determined to press on but with rather unforseen results. 28 Photos. Click thumbnail images to enlarge.